The GUILD of MilitaryScaleModels offers selections including; Men of War, Ships of the line, Aircraft of the 20th Century, Artillery, Armor, Combat Vehicles, Bands & Ceremonials, and Dioramas. Below is an example of the quality offered for purchase. All boxed products are complete without blemish. Those products not in their original boxes are annotated with their catalog ID, surface finish and date of manufacture. 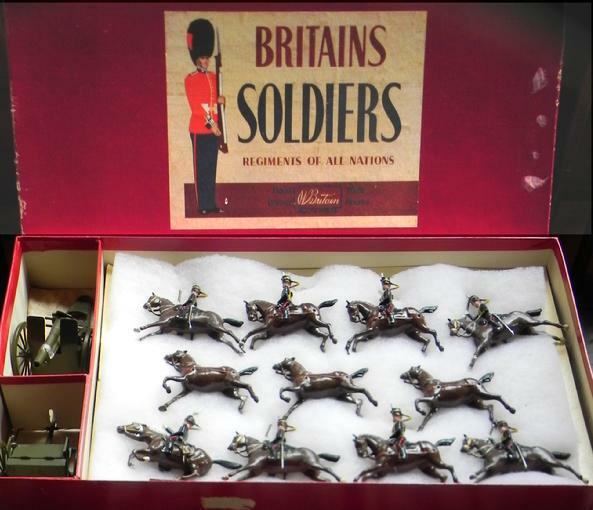 Most products presented by Military Scale Models are 19th century antiques or mid-20th Century products. The Soldiers, Sailors, Airmen, Calvary, Artillary and Vehicles are cast. Composite figures are identified. The aircraft and ships are either cast, molded, or assembled from kits. All offerings are identified by their maker, catalog number, estimated date of manufacture, and estimated date of purchase for this collection.